So yesterday evening was fairly uneventful. Cleaned the fish (again! That water just insists on turning green every 3 weeks ... I can't wait for winter to come along an cool my room since I'm still hoping that's the cause), watched some random tv (ER and Boston Legal) had dinner and started my new book in the bath - my favourite spot for reading! 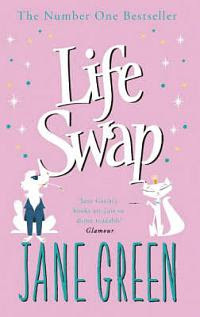 Which reminds me, this weekend I finished reading Jane Green's Life Swap. From the outside, Vicky Townsley would appear to have it all. She lives alone in London, is single and seriously successful. But she'd give it all up in a heartbeat for marriage, children, and a house in the country. Amber, on the other hand, has exactly what Vicky wants. This is a story of the grass not being as green as you might think. A nice story with the ending everyone hopes for if you're reading these sorts of books ... the characters take a holiday from their real lives for a while, try living in someone else's shoes and realise just how good they had it before. That really your life is the only one made for you. I really needed this book and it's cliche ending right now. And that is about all the news. I am planning as quiet a week a possible in preparation of the next six weeks of work-related chaos.